The Online Photographer: Does Sharpness Matter? "Sharpness" is a contentious concept in photography. It's undyingly popular, but there are a lot of misunderstandings about it. The essential ambivalence or contradiction (duality? dichotomy?) is that technically, sharpness is a goal, and considered a virtue; but aesthetically, it's just a property—no better or worse, inherently, than any other property. ...Even its opposite. For example, we talked about Alvin Langdon Coburn a few weeks ago. Pictorialist photographers prized unsharpness—what Coburn called "diffusion"—and preferred lenses that were unsharp. Sharp lenses were considered utilitarian, and lack of sharpness was considered a hallmark of artistic sensitivity. Nobody who was anybody wanted a sharp lens. Pictorialism fell out of favor decisively in the 1930s and '40s when it became the prevailing mode of amateurs and hobbyists (and older people, and the hidebound). Its modes and motifs were reduced to cliché and mannerism. Group ƒ/64 (named for an aperture that, on a view camera, helped achieve "pan focus," or sharpness from front to back in the subject) was in part a reaction to that; both Ansel Adams and Edward Weston created gauzy, soft-focus pictures very early in their careers before rejecting it for the hard-edged, highly descriptive techniques of their mature years. Curiously, though, our preferred technique tends to become part of our value system. It becomes consistent, and persistent. Even pursuing his late, far-out "Vorticist" experiments, Coburn never abandoned fuzzy focus—it was how he liked to see things. Once photographers settle on how they want, and expect, photographs to look—whether it's a contact print from a view camera (as my friend Oren prefers) or black-and-white with a blackline around it (as I love best) or an onscreen JPEG with goosed-up day-glo colors (no names here! ), that sense of "rightness" persists. Once settled, technical preferences seem to become part of us. The history of our own era can't be written for another 30 to 50 years, but, these days, many hobbyists pursue "sharpness" to fanatical excess, as if sharpness and resolution were a marker of some sort of religious or ideological purity or something. Color photography used to be difficult, and the materials slow. We can now easily make sharp, clear, full-color pictures of almost anything, under almost any conditions...ergo, that's no longer enough. Now that "good" technique has become so easy that it's almost a given, people seem to be looking harder than ever for a "magic bullet," some effect which will automatically and reliably impart specialness to their pictures. The best sensor, the best lens, whatever. The sharpest this or the finest that. Unfortunately, it never was that easy, and it never will be. It's always a judgement call. Always has been, always will be. I've always held that fastidiousness in technique is something photographers do for themselves—for their own satisfaction—rather than either for the good of their pictures or for the benefit of their audience, their viewers. Ultimately, what makes a photograph successful is expression and meaning. Technique merely controls the properties we employ to contribute to those things. And technique merely needs to be "appropriate" to the photograph: sometimes "good" technique works best; sometimes "bad" technique works best. But, aesthetically, no specific techniques are virtues in themselves. They're just properties. Today's unrelenting sharpness and hyper-realistic detail, carried to extremes, is just a fashion. It helps some pictures succeed; it ruins others, which could be helped by not being so literal and analytical. Sharpness absolutely doesn't matter...as an absolute. Technically, it might be fun to shoot for extremes, and be able to achieve them. But aesthetically it's just another property, which might help, but might just as easily not. toto: "I just want my bokeh to be sharp—corner to corner." Hugh Smith: "A few years back, I wrote what would become a cover article for Shutterbug magazine about pinhole photography. Interestingly, the first correspondence from the editor before publication was 'the images seem a bit soft.' I refrained from my first response which was 'duh,' and answered with 'That’s the nature of pinhole photography.' The images are soft since there is no lens. And that’s what makes them so cuddly. Sharpness is ofttimes overrated. Just my two pesos." Jim Richardson: "In recent years while teaching our National Geographic Traveler Seminars I often made the intentionally provocative statement that 'Sharpness won't get you published. Content gets you published.' I'd then go on to explain but it was a hopeless task. I could see it in their eyes: 'Blasphemy! Blasphemy!'" Richard: "I've been shooting with an old screwmount Takumar on my Canon 6D. With one lens I can have gauzy unsharpness at ƒ/1.4 or scathing detail at ƒ/5.6 plus. Almost always like the wide open pictures better; it's my one man rebellion against the hyper-sharp HDR army!" John Denniston: "Back in the late '60s I was in the darkroom with another photographer who was going over his negs for what seemed a very long time trying to find the perfect frame for one of the humorous setup pictures newspapers were notorious for at that time. I asked him if they were all soft. He said no, they were all sharp, maybe a bit too sharp, and didn't look real. He was looking for one slightly out of focus but that would still read OK in the paper and look less like a setup because it wasn't perfect." Kenneth Tanaka: "Anecdotes: I have the wonderful privilege of often seeing some of the most renowned photographic prints in public and private collections, from Fox-Talbot to Burtynsky and Gursky. I doubt that half of them would pass muster as 'sharp' to an amateur photo forum crowd. A few years ago a major American museum photo collection deaccessioned a large Berenice Abbott print. To my eye it was lovely. But amidst the museum's many other Abbott prints this one, which was printed later, was a bit too good. Specifically, it was a bit too sharp and snappy to be representative of Abbott's body of work. It was clearly a later interpretation of the work." David L.: "I have observed that when one attribute is emphasized obsessively and singularly, that is all that one ends up with. Other qualities are rejected, and lost. Thus making the end result a disappointment at best, a failure at worst." Dennis Mook: "I achieved a proper perspective (for me) after visiting many museum exhibits and looking at original prints of some of the most iconic photographs made in the 20th century. Whether made by Cartier-Bresson, W. Eugene Smith, Steiglitz, or many of the Farm Security Aministration photographers, many of the images are not what we would call 'sharp' today. In fact, they look softer that what could be made from the least expensive lenses made today. It became obvious to me that the content and meaning of a photograph transcends technique and is much more important that technical excellence." Rob: "On the subject of sharpness, I like to borrow a quote from Chico Marx: 'Enough is enough, and too much is too much.' For some images, a high level of sharpness adds a sense of realism and presence. But excessive sharpness calls attention to itself and detracts from the image. I also think that we, as photographers and viewers of photographs, are developing a new aesthetic sensibility in which hyperreality (and I don't limit this to HDR) is an accepted style. Whether it will have staying power is yet to be determined." The f/64 philosophy only works if everything in your frame is something you want to see in perfect sharpness. Easy to do in Adams' and Weston's day. But more often then not these days, the whole frame is crowded and ugly, and I find myself shooting more with telephotos and/or large apertures, cropping out or blotting out the rest. Interesting also is today's popular obsession with "bokeh," leading to an ideal wherein the most highly prized lens can be both sharp and unsharp in the same photo. All depending upon the tachnique applied to achieve it, of course. Only a few years ago, we went to an exhibition of photography at the London Wall, by photographers including Tony Ray-Jones. Many of the photographs had been reprinted digitally and initially I thought there was something wrong with my eyes, until I realised that all the digital prints had been over-sharpened. The visual artifacts from over-sharpening are horrible; the over-riding assumption by the negative scanners and printers, must have been that everything must be 'sharp'. Anyway, more recently, an excellent exhibition at the National Media Museum in Bradford, brilliantly curated by Martin Parr, had original prints by Tony Ray-Jones, in whole plate, as I remember, as 10x8 paper was too expensive for him. Interestingly, in one of Ray-Jones notebooks, it said use a shutter speed greater than 1/250 to avoid camera shake. I guess most people mistake sharpness for details. While sharpness is not all that important fine details are, at least to a great extent. You are right in your comments. For many people, sharpness = resolution. In the digital age, where post processing gives a level of control never possible in the film darkroom, I tend to look for the highest resolution available in the original file (functionally equivalent to a film negative). Even though one can sharpen in post, this is relatively limited compared to the flexibility and extent and range of "de-sharpening" (not just blurring) that can be performed. This gives one the greatest range of control available. And after all, isn't post processing about creative control? It seems to me that all the technical superiority of today's cameras matters not if the photo is lacking good composition, balance and design and not least of all, interest. This aspect cannot be replaced by all the fancy engineering and software. It is built in to each of us, some more than others. I've increasingly wondered how much of the reasoning people give for "needing" FF/high MP/Otus/whatever is rationalizations when what's really behind it isn't so much gear fetish, but personal satisfaction ... the enjoyment of pixel peeping and knowing a photo is "tack sharp" regardless of how it will be presented. The other thing that came to mind as I read your post is I wonder how much of it is because new products are seen as breaking barriers. So it's not that we have much more than we need; it's that we never knew we needed it ! We're seeing that with video right now ... 720p, 1080p, 4K, 8K ? The last time I saw 4K was 2.5 years ago and the material had compression artifacts and I wasn't impressed. I imagine it's better now. Meanwhile, I have a 1080p TV at home and watch Blu Ray, DVD and I stream movies from Amazon. I can certainly see the difference between Blu Ray and DVD. But the minute I start watching a DVD, I don't have a thought about the fact that it's "only standard def". It looks wonderful. I also have a 1080p projector that I use outdoors in the summer to show movies on a 9' x 24' screen and I can tell you that a plain old standard def DVD looks amazing on that (of course, you watch from a distance). When I stream movies from Amazon, they're often heavily compressed as I'm stuck with DSL for internet. But 5 minutes into a movie, I ignore it - it doesn't negatively impact my enjoyment of what I'm watching. There has to be a parallel between this and people who are into audiophile gear and claim they can't enjoy music unless it's reproduced through top end audio gear; even going so far as to choose to listen to material that shows off the capabilities of their sound system. I'll bet 99.9% of the recorded photographs in human history are unsharp, but only because 99.899% of them have been taken in the last 5 years with a smartphone by someone who doesn't really care about photography at all. There you go again, Mike, trying to bring 'perspective' into conversations about photography. Well done as usual. Thank you. Thank you, thank you! So good to read this! I'm currently editing and sequencing a photo book which documents my daughter's first thirteen years for her upcoming birthday. I'd say that most of the more compelling images are "soft" by current definitions. It's classic, 35mm reportage in available light. Not technically perfect, but seems to work on an emotional level where something more clinically sharp might not. p.s. I'm having so much enjoyment working on this book in terms of editing - it's hard work! Getting from one picture to another in order to tell the story whilst having to choose that single frame from hundreds is taking longer than I thought! "Today's unrelenting sharpness and hyper-realistic detail, carried to extremes, is just a fashion"
Imho, that is especially true when extreme sharpness is paired with what I consider its evil sibling, HDR processing. Shadows add texture, definition, and sometimes mystery (in a good way) to photographs. To me, the combination of extreme sharpness/detail with HDR robs photographs of any artistic judgment by the photographer, and such photos become [imho, merely] very graphic illustrations. Really excellent article today, Mike. Bang on. It reminded me of a sentence in the first initial review of the new Fujifilm X70 that is presently on DP Review: "The spec sheet on the Fujifilm X70 isn't all that exciting." My first thought when reading that was, "WTF does a spec sheet have to do with creating compelling, engaging, or beguiling images?" The answer, as you've so eloquently put it here, is: Nothing. I was going to say what Richard Newman said -- softening an over-sharp image is easier than making a too-soft image look as if it was shot with a good, sharp lens -- though that formula ignores the particularly beautiful soft quality of some lenses, which might be hard to fake in post. As I noted earlier, all other factors equal, I'll take the sharper lens any day -- but "all other factors equal" is a big qualifier. Finally, as Mike points out, none of this makes a whit of difference until you're printing pretty damned big. In most art forms, there are people who become obsessed with what I think are essentially side issues -- nothing wrong with that, it's just a personal thing. In music, you find people obsessed with theory, and who argue about how much difference there is in "tone woods" in solid-body guitars (answer: not much.) You've talked about the "golden ear" in hi-fi, which is an aspect of the same thing. In painting, there are whole schools obsessed with technique, but in which yo never find an original or even interesting idea. In these cases, you're not really paying attention to the music (photo, art), as much as you are the abilities of the machine. One place where you and I may differ in terms of aesthetics is where you say sharpness is just a property. Of course it *is,* but I also think it's a critical part of the fundamental aesthetic of photography. Just as the fundamental aesthetic of painting is interpretation, the fundamental, base-line aesthetic of photography is accurate representation of the world. If that is true, then sharpness can only help. (But over-sharpening in software is just another error.) I think when you make a photo that you wish to take seriously, you always have to ask, "What does it mean?" With most manipulated photographs, or photographs that are deliberately obtuse or out-of-focus, the answer is "nothing." When I’m street shooting, a lot of my framing is a mess - camera tilted, a little far from the subject, e.t.c.. I do like the option to crop an image and still maintain some quality in that image on 13x19 and 17x22 paper sizes. For me, the many megapixel camera is not for sharpness but to make up for my mistakes. One of the advantages of "real" cameras over cell-phone cameras is that their longer lenses are able to render at least part of the image out of focus when needed. This may be one of the reasons some photographers like bokeh today--it sets them apart from the cell snappers. Same can be said about any other lens or camera property. Take resolution for example. Most people take it for granted that more equals better. Google pixel art - remember the Jay Maisel's photo that got pixelated for album cover? There are artists who create beautiful, intricate pieces with couple hundred of pixels. Same goes for aberrations. You can see how artists incorporate CA photoshop filters to actually add aberrations to their pieces. Creating gritty, techno, lo-fi camera feel. Sadly, you don't get to see a lot of what crazy talented young people create using photography's flaws on the art market. That's for the big, tack sharp, aberration free photos of vegetables. As for me, I couldn't care less about sharpness. Give me a fast lens on a tilt capable camera and a beautiful woman to photograph with it and I'm perfectly happy. Perhaps it has partly to do with today's large printers. The fact that I can make a 24x30 at the press of a button has definitely influenced my technique, even with film. Not that a stack of 24x30s is inherently more useful than a stack of 11x14s, but if one can, one will. An argument can be made that for the first 100 year, people were thrilled simply to be able to make photographs. With the rise of consumer products and planned obsolescence, it became important to constantly introduce new products. The justification offered to a consumer to dispense with his previous purchase was that the new model was better. How do you measure betterness? It has more resolution. It is sharper. It is thisser or thatter. Today, certain online "review" sites and blogs exist for the same reason (present company definitely excepted). In short, the consumer has been programmed that sharpness and "bokeh" and resolution, and whatever the manufacturers are peddling is what is important, and what will cure the consumer's newfound sense of inadequacy is a simple matter of handing over cash. It's no wonder the obsession with trivia over the image itself. One of the landscape shots I treasure the most was taken with a cheap APS camera and 400 speed negative film on a foggy day. Nothing is sharp in the photo...just like the actual scene. Almost twenty years ago I encountered a post (I think on the old Mamiya page) wherein someone was arguing that Cindy Sherman's reproductions of old movie stills weren't art because she used soft focus. I don't think enough time has passed to give a definite answer as to the art-or-not question, but if it turns out that those photos are not art, it certainly won't be because she used the wrong aperture. It was an early (and useful) lesson on the value of opinions on the internet. Looking back on it, I also wonder if a male photographer would have received the same criticism. Craig Mod has turned from iPhone back to camera and is now throwing away pixels with abandon, even a lot of the sharp ones. I think Ansel summarized this issue pretty well. "There is nothing worse than a sharp image of a fuzzy concept." Of course sharpness can be important for an image. But it can also be a distraction. Sharpness, in fact, is just one attribute among a cast of equally important attributes such as contrast, general tonality, color palette, etc. Sharpness is also a matter of perception as much as a matter of fact for many images. Color and contrast play major roles in this brain game. I think it's also important to note in such a discussion that sharpness is very much a property associated with a specific instantiation of an image -- a specific print of a specific size. Talking about sharpness of, say, online images is pointless. One way you will know when you've arrived as a photographic artist is when you've learned when and how to subtly modulate general and local sharpness (and other attributes) to help to convey a message rather subliminally. - I have the wonderful privilege of often seeing some of the most renowned photographic prints in public and private collections, from Fox-Talbot to Burtynsky and Gursky. I doubt that half of them would pass muster as "sharp" to an amateur photo forum crowd. - A few years ago a major American museum photo collection deaccessioned a large Berenice Abbott print. To my eye it was lovely. But amidst the museum's many other Abbott prints this one, which was printed later, was a bit too good. Specifically, it was a bit too sharp and snappy to be representative of Abbott's body of work. It was clearly a later interpretation of the work. I used to sharpen all my digital images, but over the last 12 years I've done it less and less each year and now I never sharpen and I much prefer the look. I sometimes prefer images that aren't tack sharp, even if it was an accident, while others times I like them nice and crisp. It can be similar content matter and it's tough to tell why that is. The more experience I gain, the less I feel like I know what I'm doing, in certain respects. As I wrote in a comment to one of your TOP articles in 2013, "The rejection slip with which Alfred Stieglitz famously responded to many of the submissions he received at An American Place, his New York gallery, read 'Technically perfect, pictorially rotten.'" I wish that you would publish a collection of your articles like this one today (and your "The Dying Minister Picture" article from Sept 6, 2013), e-book or otherwise; it would be a service to TOP readers in particular and a pleasure for the world of photography in general. To piggyback on Glenn's comment: and, conveniently (for lens manufacturers, but also some reviewers, in the age of paid-for reviews), the lenses that supposedly are the sharpest and have the best bokeh happen to be the most expensive. I saw a post here a while back about lenses that don't test well but, in practice, can be used to make good pictures. I imagine the converse can apply, too: some lenses that test extraordinarily might be a nightmare to use. It's likely because my eyesight has never been so great or so bad that many of today's super sharp images just don't look all that real to me. I'm used to a certain level of unsharpness in my everyday life. To my eyes super sharp photos appear almost like a hyper-reality, not unlike intense high dynamic range photography. "Curiously, though, our preferred technique tends to become part of our value system." While studying photojournalism in the early to mid 80s, the term "razor sharp" was a badge of honor applied to any extra sharp photo. It was the standard to "shoot" for. We PJ students all prayed to god of sharpness for perfectly focused images. One guy I met was so adept at follow-focusing during sporting events (the bane of my existence then) that his nickname was "Razor." Even today I still have trouble accepting ever so slightly soft images. And using sharpening on digital images just feels like cheating. Said it before, say it again- some of the most imaginative, evocative and memorable photographic images I've ever seen were taken with a Holga (eg- Thomas Michael Alleman, Bob Holmgren, Nancy Rexroth). I don't have a problem with "sharp" images per se, I like to ooohh and marvel at what technology can achieve just like the next guy. Just think that the practice of making things razor sharp is often substitute for creating more original and creative images in the first place. My many year love affair with the ever-mysterious properties of that loveable and frustrating plastic wonder that is the Holga taught me a good many things beyond the siren call of Ginsu lenses. I had a parallel type of love for a specific Holga lens (on one of the four bodies I went through over 5-6 years) that Coburn had for his portrait lens. The wonderful DIY nature of the Holga allowed me to transfer my favourite lens from a dead body to a new one, when it turned out the new one didn't have quite the same unsharpness in the same spots as the old. The Holga allows for a sort of a fixed/non-fixed lens situation via a couple screws. Try that with your RX1R. Eeek. It was at times perfectly well behaved and at others strangely mysterious (though not necessarily bad) in its effects. I eventually grew frustrated with its unpredictability after losing a few one-time shots to some unsuitable oddness, but what a fun, liberating, and educational tool it was. While I certainly agree that any lens characteristic is, as you say, a Property that can be used to make photographs that independently of those properties can be good or bad, and that no lens property guarantees the merit of the resulting work, I would also observe that people tend to own a relatively small number of lenses and tend to want them to be versatile. Since It's easy to reduce real sharpness, very hard to actually introduce sharpness when it isn't there we tend to want that property. Some types of work require sharpness, and for some it makes no difference. So I generally want a lens to be capable of sharpness, but that is different from chasing clinical sharpness in every picture. It is not the be all or end all, and only one of many lens properties, but generally an important one. So I understand why people want it. We eventually learn, as you point out, it's not so simple, -like the carpenter who finds that his perfectly sharp chisel is too hard and brittle or too soft to last. Good to think about, articles like this help. This is why "The print is everything." Pixel-peepers are the armchair quarterbacks of photography. If your print speaks to me, it's successful. Full stop. Sharpness -- or the relative lack of it -- usually matters a lot more to the photographer than the viewer. Viewers have their own biases and predispositions separate from those of the photographer, but image sharpness independent of content is not generally one of them. Sometimes presenting things very sharp is an important part of the impact. Think of projects like In the American West by Richard Avedon or Uncommon Places by Stephen Shore. There is nothing against sharpness, but lately I got the same feeling as you Mike: Yawn, these 50mp digital photos sure are getting e-x-t-r-e-m-e-l-y b-o-r-i-n-g-! Never had that with 4X5 inch or larger. It’s so much more interesting looking at the images by Sally Mann where you can see the traces of the chemical process she uses. Or the rough techniques of Diane Arbus or William Klein to name a few. Or many historical photographs. Perfect imperfection! I also get sentimental when I think back at the Polaroid SX-70 we once used at our design office as our visual notebook. Everybody had talent using that camera. The colors were unrealistic but very warm and beautiful. The end result was totally beyond our control and unfortunately we couldn’t use the polaroids for publications because they were not sharp enough. But we all loved them. When the SX-70 was replaced by a digital camera we all immediately lost our photographic talents. Like we mainly were using 8X10 inch transparencies in the mid eighties because the clients loved them, many photographers now are using high resolution images as a part of their personal image and sales proposal. It is hard to grab what is wrong about that, but even news photos are getting that clinical look and are missing heart and soul. (Yawn again). Could be that we are losing differentiation. News photos, fashion images, my sister-in-laws snapshots... they are all beginning to look the same. Most important: photography should be pure and honest. That applies for everything that is valuable I suppose. In the past year or so, I've turned sharply (ahem) away from sharpness as a value in my pictures. I don't mean that I've learned that sharpness doesn't have much influence on whether a picture is good (I learned that long ago), but rather I'm explicitly preferring a not-that-sharp look. So I'm very relaxed about lenses now; I'm not sharpening very much if at all in Lightroom/Photoshop; and I'm often finding myself adding grain effects to muddy things up a bit. As a digital-era, internet-fueled meme, "pop" is the sidekick to sharpness. It seems to mean highly saturated colors and gonzo contrast. Those things, too, are not pleasing my eye lately. The saturation slider also moves to the left, I discovered. Of course, I have no beef with photographers who want their pictures sharp as a tack with pop galore. But I'm having fun making mine soft and pale. For several years I sought after sharpness; after all, I learned exposure, processing and printing with St. Ansel's books at hand. Thankfully, however, I never pursued sharpness for its own sake. (OK, maybe a little - I was young.) I was fortunate enough to have a tutor who kept all the technical bits in balance and in service to the final image. About 5-6 years ago I found myself with a strong to desire to make softer, more "gauzy" images. I'm not talking about simple lack of sharpness, it was more than that. Composition, DOF, bokeh, the quality of the light, processing (either wet or post) - everything needed to contribute to the feeling I was looking for. Sharpness became even less important than ever. Having competency if not fully mastery over the technical factors, (along with capable tools) in making pictures must always serve the photographer's intent and vision. If no one has ever said it before, there's nothing worse than a sharp image of a fuzzy concept. Maybe I read that in one of my books? I think this is why Cartier-Bresson so famously said that "Sharpness is a bourgeois concept" -- to use it as a barometer of quality in photography is to ignore artistry in favor of technical metrics. Like sharpness other lens defects like flare are decried as "problematic" by many hobbyists. 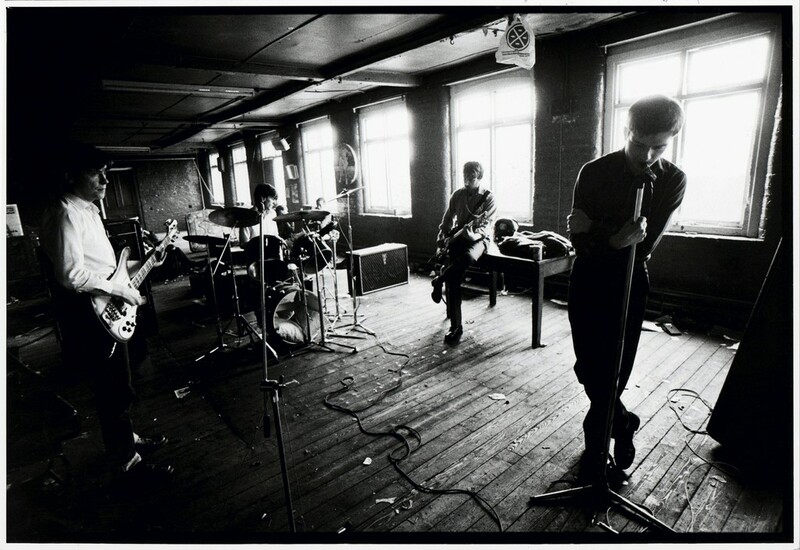 Kevin Cummins photo shoot of a rehearsal of Joy Division in January 1979 is one of those great examples of when a lens isn't perfect (single coated, I expect, in this case) but it adds to the quality of a photo. Those blown windows would just be boring white rectangles with no bloom if you used a really nice modern multicoated lens (on a modern digital camera without adding scrim). The rest of the image is middling sharp but that's enough. •Some images look better sharper, some look better softer. Some people mostly tend to shoot one kind of image or the other. •A sharp lens doesn't make a bad photographer good; a soft lens doesn't make a good photographer bad. •Some of the greatest photos ever taken are not sharp at all; other greatest photos ever taken are extremely sharp. •A terrific photo that's not been sharpened enough can be slightly distracting. A terrific photo that's been oversharpened can be just awful. •If I starting picking apart whether a photo is too sharp or too soft, maybe the photo is a failure for other reasons. •Why isn't the opposite of sharp dull? Why isn't the opposite of soft hard? I spent most of 2014 shooting formal portraits that were deliberately out of focus. I'm a mature age photo student and as an art major I was expected to have an intellectual basis for my work. I was exploring why photographic portraits are expected to be sharp, correctly exposed with natural colours (or monochrome obviously) while painted portraits could be pretty much anything the painter desired. My point was that most portraits are intended for people who already know what the sitter looks like. A good portrait reminds us of something we already know about the person and reinforces that memory. These portraits where about remembering a time rather than exactly how you looked at that time. They exist to jog your memory so that you think about that time and thus reinforce your memory of the time. The 19th century guys were more subtle that we give them credit for. It wasn't merely softness they liked, although many of them did, the also felt that managing the degree of softness across the frame was a way to manage the perceptions of the viewer. Notably Emerson felt that the bit you wanted the viewer to look at, the point where the attention should fall, should be pretty sharp, and the rest of the frame should be slightly defocused. Compared to modern ideas, this is remarkably sophisticated and pretty darn effective. The way a lens renders that transition from in to out of focus is starting to come around as a thing worth noting, and it's often problematic for the sharp lenses, isn't it? I studied that this is in reality much of what the old school guys were talking about, often, but they lacked the vocabulary to really be clear. Some few years ago Jay Maisel starred in some videos that Epson offered and I bought. I remember a scene where he and a photographer friend were having coffee and the friend commented that he sometimes passed on taking a promising photo because he knew he couldn't get a 'quality' image under the conditions. I've never forgotten Jay's reply. "Too hell with quality. Get the image." I was drawn into photography post film,I read and consumed all that was available on the net about digital photography.For a long time I used to think that sharpness meant in or out of focus to various degrees.This is a first rate article by a man who knows his stuff!This quality of writing separates the gold from the dross. I think this whole sharpness thing comes about purely because its easily measured and so easily refenced in the typical forum flame war where such discussion is most prevalent. I noticed a raft of Pentax FA43s appear for sale after Photozone's retest with the K-5 and all of a sudden the 43 was weak in the corners. The internet had spoken. If you want sharpness across the frame get a macro. A bit of softness is quite useful for portraiture for example but the typical resident forum expert will always prize a stellar lens chart or brick wall champion over something with a bit of character. My 4 most prized lens would be the Carl Zeiss Distagon T* 2.8/25, FA43/1.9, A50/1.2 and the purple fringing monster FA 77/1.8. All can be soft if needed but all strangely enough can deliver the necessary sharpness that I want if required. Give me a bit of character anyday over an anodyne but sharp. I wonder if this is another example of the "If your only tool is a hammer ..." syndrome? Telescopes, microscopes, yep, you want it as un-fuzzy as you can. Sharpness is subjective. A lens is racked in and out to find the "sharpest" setting. Resolution is an objective measurement but not necessarily an indication of "sharpness". Contrast and accutance (edge contrast in an image) convey a better impression of sharpness than does resolution. Fashion is a funny thing. If you want to be noticed, do what the pack does better than most, if you want to be remembered do what the pack doesn't better do and create you own fashion. The other day I processed some digital images as black and white, achieving a look I remembered from my darkroom days (no overly grainy, fine contrast and tonally rich). I thought at the time "this is not the modern film look, not grainy and harsh enough" so ditched them. After, I came back and refined the look. Stuff the modern take on film. I know how I liked mine and thats what I want (why add in things like excessive grain and poor contrast to mimmic an older look, just to satisfy a new take on that look?). I remember back in the day, we all chased for our defining look in the darkroom and that varied a lot more than just adding a "look", usually a faulty one, in post processing. So how does one go about obtaining a non-sharp lens? Legacy lenses? Vaseline smear? Stretched stocking? Today's tellies are too sharp, too high in resolution, and they can make films (movies) look cheap and, at times, unappealing. Sometimes, the same goes for photos. I believe the "amount of sharpness" needed depends on how much the viewer needs to perceive the picture in the intended way. Should one strive for "sharp" pictures then this is a function of the intended size of reproduction, which may depend on subject matter and aesthetics. For example, I've seen pictures from Gursky which IMO work because of their gigantic size (several meters), whereas Michael Kenna's photographs work in very small prints (sometimes about 5''x7''). So, does it have to be "big", does it have to be a print at all, or do you rather go for a PDF or blurb book with your work? (Disclaimer: I once triggered the alarm in the Folkwang Museum by nose-inspecting one of the giant Gursky prints to see if it was really "sharp"). Yes indeed, I agree 100%. it is not because you have a sharp pen that you can draw. And then, where does sharpness end? 90% of people praising their own blurry photos simply were not able to achieve acceptable focus, were a bit shaky when ramming the shutter button or were a bit cheap when buying that 99$ kit-lens. Photography as a medium has always been about creating an exact, sharp and precise image of what you saw. And yes, there are 5% artists using photography "against the grain" and working against the inner logic of the medium. And there are some photojournalists who are to be congratulated because they could get a meaningful image out of a situation at all, no matter what the sharpness was. The most important piece of equipment in taking photographs, it seems to me, is one's heart. Take the picture that moves you, and all else will follow. If sharpness is part of that, great; if not, also great, but first it has to move you. Recently, I took a picture of a sunset that I really liked and had it printed on a lap blanket for a Christmas present. When I posted a picture of the resulting blanket on photographerslounge, one wag responded: "The corners seem soft." Weeks later, I am still chuckling over that. One of my favorite examples I use in my classes are a pair of 12"x18" prints. I invite people to come up and look at them, and tell me which one is sharper. They are portraits. One is front lit with soft light, the other side lit with harder light. Almost everyone chooses the side lit portrait as sharper looking. Then I invite them to peer closely at the photos, and show some pixel peeped crops. The front lit portrait is clearly sharp and in focus, while the side lit portrait is soft and out of focus. The perception of sharpness isn't just about resolving power. I wonder if part of the obsession with sharpness is related to the tools we've been given to achieve it. First we have near perfect displays, software that allows us to view at 100% with a button click, and cameras that are largely designed around automatically giving you the best picture, in exposure, focus, and DoF. Many amateur or beginner photographers aren't taking the time to adjust the camera to the picture they want to take - some aren't even thinking about the picture they want to take before they fire off the shutter. One part of the equation that is somewhat out of our control are the phase-detect AF systems along with the viewfinders and lenses designed around them. I've handled a number of DSLRs which have a viewfinder that isn't perfectly registered causing what is "in focus" to look soft in the VF and vice versa. It's also exceedingly difficult to get lenses with such a short range of focus adjustment manually adjusted. I'm always troubled by general assertions like this debate over the importance of sharpness. Surely it all depends on what you are trying to say with your photography and the personal style you adopt to get your message across. For someone like Jeffrey Milstein and his brilliant, huge prints of airplanes, his work demands the ultimate in sharpness and resolution. Some of Ed Burtynsky's powerful images also require sharp lenses and large sensors to bring out all the details in his large prints. In my case, I'm working on a project documenting the interiors of old rural churches and details are important. Camera resolution and lens sharpness are important considerations in this project. There are many subjects and styles that are far less demanding on sensors and lenses and the photographic market seems to have settled on 16-24 megapixels as the optimal resolution for most applications, especially if you publish to the web or social media like most. However, let's not generalize. There are plenty of projects that drive high resolution lenses and sensors. There is one reason I appreciate sharp lenses wide open: High ISO. Doing street photography I end up shooting at high ISO (1600 and beyond) a lot. Back in the mid-to-late 2000's the image quality at those levels was not what it is now, so if I compounded an unsharp lens with high ISO, the images looked mushy and not at all attractive. With a sharp lens, I was assured of getting an image whose unsharpness was dictated solely by the noise characteristics of the sensor, plus my choice of B&W processing from RAW. Having chosen a camera with nice, grain-like noise, my high ISO images were just the right amount of unsharp while being taken with a sharp lens. This is one problem with photography: terrible vocabulary. "Sharpness" is not an agreed upon term, nor does it have a defined meaning. "Resolution", "Contrast", and "Acuity"--all of which might be part of what you call sharpness (or not)--are better terms in that respect, though we really ought to make sure they have truly defined meanings, too. While sharpness, as well as other attributes of lenses like color rendition and bokeh, admittedly do interest me from time to time, they have never helped in getting anything published. Nor has any picture I offered every been rejected on technical reasons. For instance the picture I show and describe here (http://cabophoto.com/blog/national-geographic-traveler-stars-and-cars-in-fort-benton/) was recently published as a double-page spread in National Geographic Traveler. I shot it with a lowly Fuji X100S, and it is certainly not about sharpness. I really like Jim Richardson's quote: "If your pictures aren't good enough, stand in front of more interesting stuff". Bravo, another great posting . . .
"Photography as a medium has always been about creating an exact, sharp and precise image of what you saw." And there is where you go badly wrong. As in factually incorrect. That was the overriding aesthetic for about 1/3 of the life of photography to date. That's all. If you are trying to assert that this is what photography is about FOR YOU, no one will argue with you. When you attempt to justify your preference by asserting it is an eternal norm, you're wrong. Dear Mike my comment is tangential to your article, but I feel there’s some relevance, so I gladly ink my digital pen. Nikon has recently switched its focus from pure sharpness to something they define as “whole image charachteristics”, and they are taking some (possibly deserved) flak for it, but also making very unique lenses. Their new 58 1.4G is a prime example, having been developed with one key requirement: beautiful imaging, with sharpness being a secondary (tertiary?) concern. It is honestly a very, very unsharp lens at f1.4. But the rendition grows on you, gentle, smooth, simply beautiful. They probably went a step too far in keeping resolution low, but I doubt they hadn’t the capacity to make a ultra sharp lens to the detriment of every other quality. They just chose not to, and this still amazes me. Their 24 and 35 1.4G have been lambasted for poor resolution at f1.4 (and f2…), and people (me included) have been smitten by lenses like the Sigma 35 1.4 with its contrast and sharpness wide open. Many (again, me included) sold their Nikons and jumped on the Sigma bandwagon. When I did it,I felt like I had finally found my holy grail: sharp, at all costs, like nothing else mattered. The reality, a couple of years forward, is that I practically don’t shoot the Sigma anymore. Images I tend to find sterile, in a way. I am pleased by its sharpness, but let down by the general rendition. I don’t know how to express this better than this poor tentative I made, but it’s the truth. Between the Nikon 24-70G and the new 24-70 VR (embarrasingly not sharp at f2.8, and with a higher price to boot)… I am keeping the latter. Because I like its images more. I shot them side by side, and I couldn’t believe the difference in rendition of colour, highlights, shadows, out of focus. It’s less sharp than the old, perhaps less “transparent”, but the pictures are much better *for me*. And, honestly, I am now missing my 35 1.4G. With all its fuzziness at f1.4-f1.8, when I review my catalogue, many of its images catch my attention for their gentle rendering, beautiful out of focus, and… lush reproduction. Do I make any sense? Maybe not. But at least in my experience – clinical sharpness (as opposed to other types of unsharpness, like out of focus or motion blur) has proved to be a hindrance more than a benefit. A chimera that has kept misleading me away from “imaging”, and down the rabbit hole of “technical perfectionism”. In this blind quest for excellence I even purchased the fabled Zeiss 135/2 Apo Sonnar. It's my best and my less loved lens. Partly because of manual focus, but mainly because it is just too stark, too bold in its rendition. Images seem to jump at you, the out of focus is often ugly, and there's a coldness I can't quite put into words that I don't like. Maybe it’s just that I am getting older, but I am finding that – for me, at least – there’s more to photography than merely sharp and contrasty pictures. Out of focus transitions, skin reproduction, colours, even vignetting, they all keep mattering more and more. Technical defects (and I got neurotically better and better at spotting them…) are not necessarily my nemesis anymore, not always at least. Sometimes, instead of trying to banish them at all costs, I give them the chance to turn a beautiful image into an enthralling experience. A very peculiar, very unexplicable, but very rewarding feeling. My 2 (long) cents, of course. I like a nice sharp image as much as the next guy, sometimes to excess. It kind of depends how big you are printing though this doesn't really look that sharp until you print it about 10 x 10 feet , and it really looks best at about 18 feet square. Most people aren't really attracted to sharpness as much as accutance. That's why Tri=X was so popular. Not at all sharp but it had sharp grain and good adjacency effect so it LOOKED sharp. 10% of your drawing should have 70% of the detail (e.g. spend 70% of your time here), 70% of your paper should have 10% of your drawing, and 20% should get what's left over. "Should" is relative, of course, you only folow the rule if you want to draw in that sort of way. There are lots of ways to solve the problem, but the rule illustrates the idea that if you want to make your image sensible to the viewer (i.e. visually readable) you need to make some choices at the macro (70%) and micro (10%) level. I think its a little nuts to shop for high contrast lenses, shoot them wide open, and crank up the clarity so that the bokeh is practically vibrating with contrast. I'm pretty sure the chasing of super high resolution is like the chasing of super long do-everything zooms: it's not about visual expression, it's literally about extending the human power to see. I'm pretty sure the lo-fi aesthetic, particularly the filters that are so popular currently, has it's roots in people desperately trying to take control of their images and put contrast and emphasis where they want it, instead of having their visual expression be imprisoned in the amber of excruciating detail. Mike, that was a rather testy comment. Maybe you were tired after reading all those reader comments. I always read your posts carefully. However, your last paragraph is hardly a ringing endorsement for sharpness when it is absolutely critical to your work. It still sounds like "sharpness, meh" in tone. On large prints, sharpness can add a kind of third dimension to a viewing experience. Standing back allows a viewer to perceive the overall composition. Stepping forward on a large sharp, detailed print reveals elements of the image that can't be appreciated from afar. This effect approximates the experience of exploring an urban scene or a large sculpture by viewing at various distances. The associated pleasure is verified by watching discerning viewers step forward and back to view large, detailed painting in museum galleries. written in 1995 Mar/Apr, VOL 16, NO 2 of Darkroom & Creative Camera Techniques. Formidable Vestal, as always. A lot of older lenses were "sharp" but might have had other abberations that gave them a different "look"...I remember testing out a Zeiss 85 on my Contax with a professional model friend, and when she looked at the pictures, she said: "...don't ever use that lens on me again...". There was certainly physical sharpness in the olden days, but maybe not sharpness, plus nth-degree contrast, plus micro-contrast in shadow areas, etc, etc. It seems like as you pile up "correcting" each of the those areas to the nth degree: beyond a certain point, the lens gets uglier and uglier. Well said Mike. It gave me pause. It gave me fresh inspiration. Take a soft lens, take a photo of a model under soft overcast light. And it will look soft. Now take a flash and use it as main light or just "kiss the face" with it and suddenly the soft lens is ultra sharp, because added contrast (lens sharpness is same as contrast, that is the definition for sharpness). How many can use sharp lenses in hard contrasty scenery? How many has soft light preferred? Exactly, you don't need sharpest lenses to get sharp photos under high contrasty lighting. I was recently looking through Steve McCurry's book released last year called India, and I was surprised to find that I could easily identify the pictures taken in the last few years. Much sharper (at least that's the word I'd use) than earlier ones which were made using 35mm film. So here is work on the same subject by the same photographer, in the same style, but the technology shines through. Just a comment - not a judgement on sharpness. Simply said, the "sharp areas" look nice, normally, from any good lens, but a "great" lens is not just sharper; instead, it renders soft areas more beautifully (and has better color). I think the old lenses, designed by old masters, are more likely to have that quality than many modern lenses, even with "improvements" from the new generation of CAD. A recently manufactured Petzval lens in Canon and Nikon mount sold like crazy. Pinhole photography kits are selling reasonably well. There's a Holga cult out there. Legacy 135-format lenses from the 1960s are more popular than ever, being used on the new mirrorless cameras as well on those DSLRs that can manage adapters.